Originally published on TimeZone in 2007. A watch which runs at a constant rate for 31 whole days without winding? 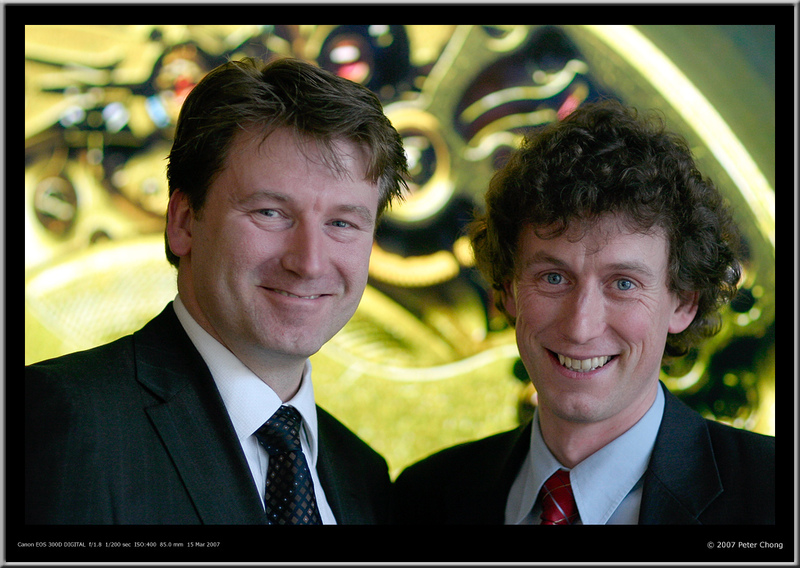 Impossible, say some…Can be done, says the incredible team at Lange. 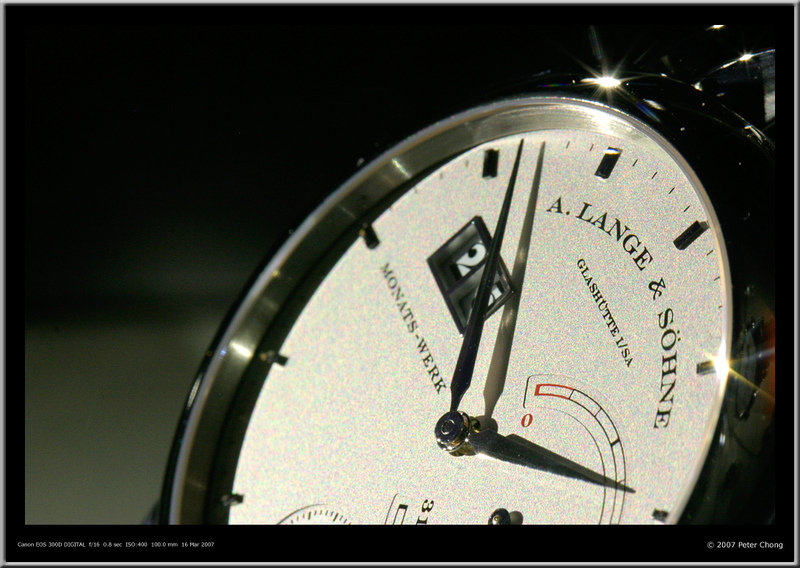 The result – the Lange 31. A very handsome watch, with a simple dial, but hiding an incredibly complex mechanism to crack the 31 day running train. Not only does the watch run without being wound for 31 whole days, it does so with a constant amplitude… keeping 270 degrees on the balance wheel throughout. 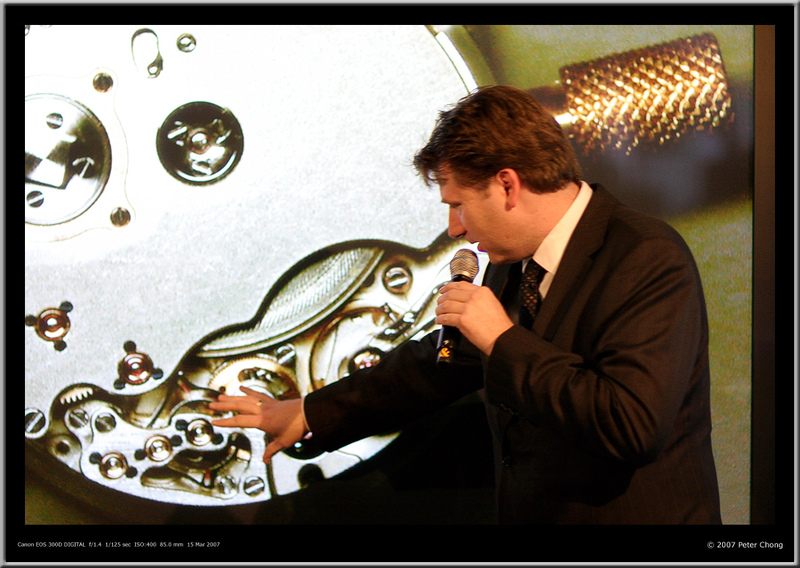 Available only in platinum, and on a forecasted delivery date of 2009, this watch was revealed in a special Press Conference held in Dresden and Glashutte on March 15, 2007 – a date well chosen to demonstrate the incredible prowess of this watch – exactly 31 days to the start of the SIHH 07 in Geneva. 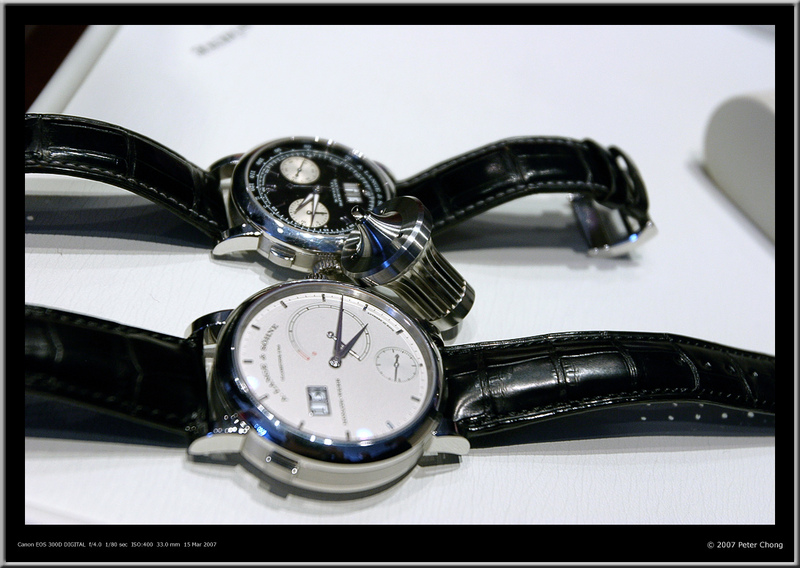 The watches shown were running, working timepieces, and all but one piece was not finished, and all are still subject to design and aestetic changes. The watch as it was presented is the final design, but one never knows. 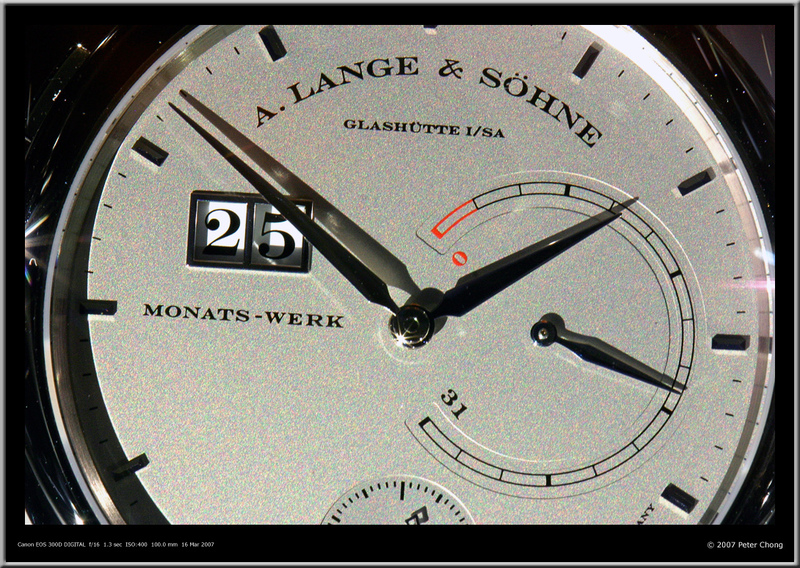 The dial side of the Lange 31, shown below…a typically teutonic dial with Lange DNA. The nomenclature “monats-werk” indicates that the movement runs for a month. This is a large watch, measuring some 46mm in diameter, and 15.8mm in height, it weighs an impressive 230g (about half a pound) in its platinum case. I wore the watch over the duration of dinner – some 4 hours on my wrist – and when I had to return the watch to Tony de Haas at the Bulow Residenz bar, it was with some regret as the watch felt so natural and at home on my wrist. 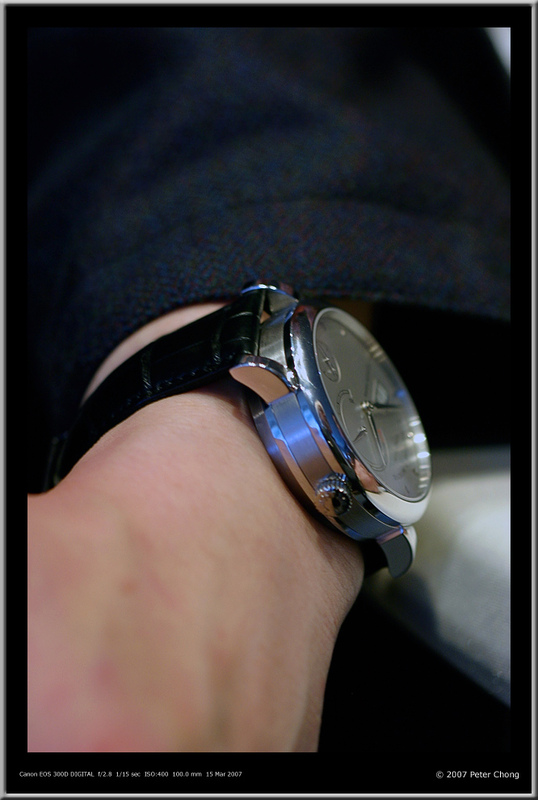 I don’t think the large dimensions of the watch are to be feared and, these days, might even be considered trendy. But the reason for this large size is not due to trend, but for a more technical nature since the space required is to house the huge mainspring and the clever mechanism to tame the torque. 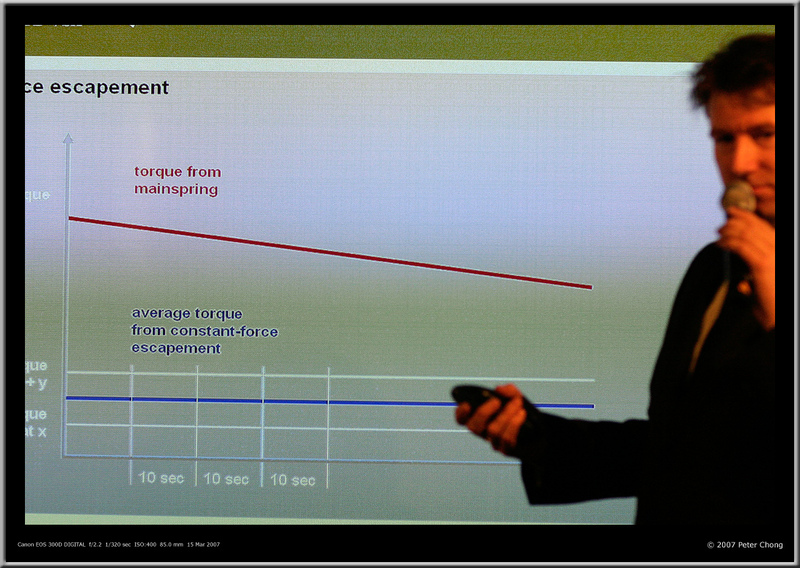 The watch is powered by 2 mainsprings, each 1.85m in length, and at max power providing 20 N-mm of torque. 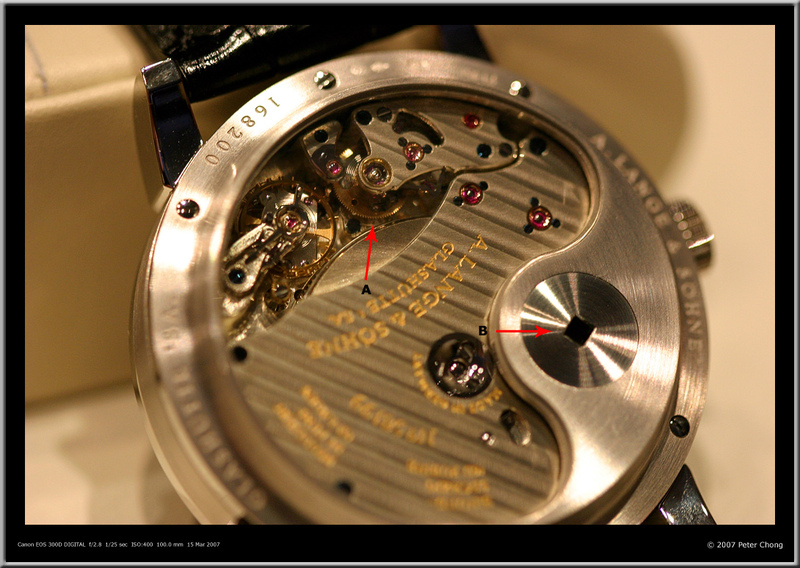 As a comparison, the twin barrels on the Lange 1 provides 5 N-mm of torque. 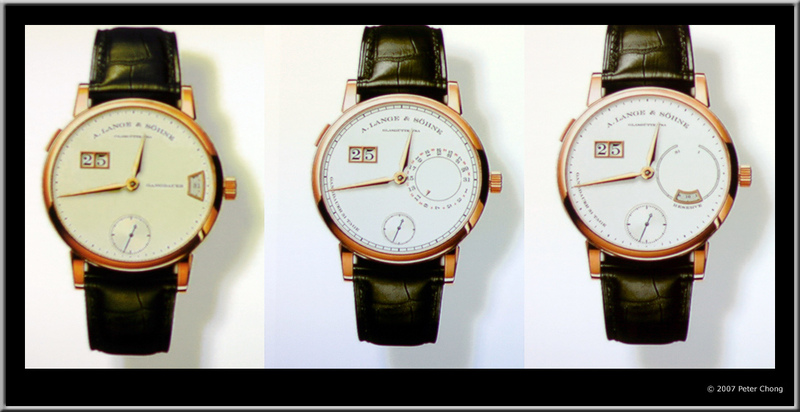 Lange 31 – Too Much Power? Great power can be achieved by making more powerful mainsprings. 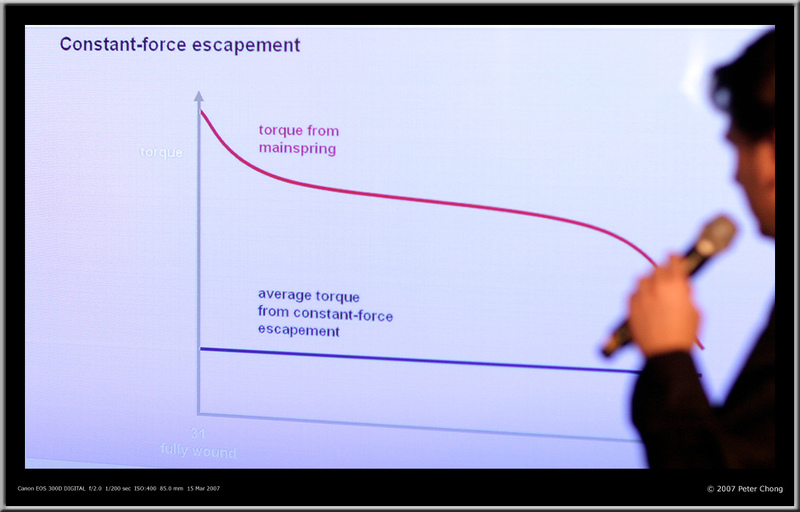 Stacking two large mainsprings to achieve long power reserves is not only inelegant, but also presents its own problems. 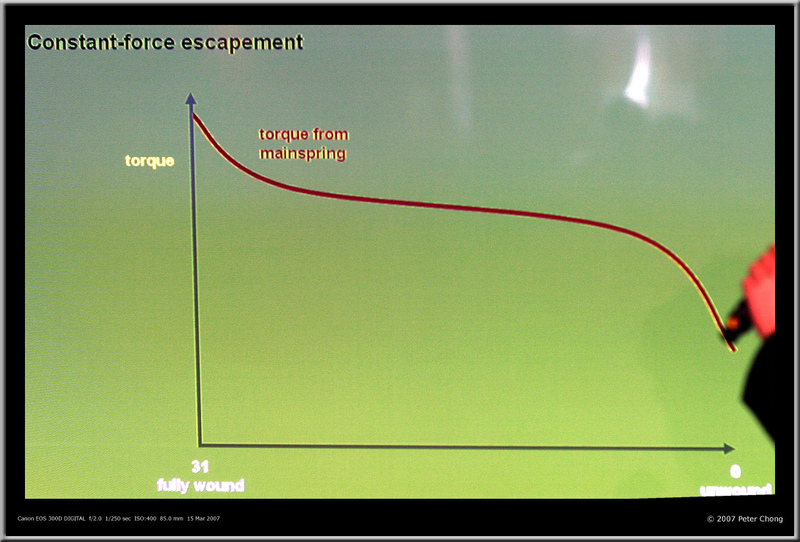 At 20 N-mm, the power from the mainspring driving the drive train would cause instant and extremely severe overbanking of the balance – there is just too much power for the balance to handle. If one makes the balance sufficiently strong to handle the power, it would be very large, and due to this, its inertia would cause it to consume the power from the mainspring quickly, and not able to last the intended design power reserve. One possible to get as close to this theoretical constant discharge curve is to provide a weak spring which discharges completely at short intervals, but is capable of recharging after each discharge on its own. Next imagine the large mainspring barrels to power such a weak spring. This is the principle of a remontoir – a spring within the power train, which charges and discharges periodically by the power of the mainspring, and hence able to provide a more or less constant force to the escapement. 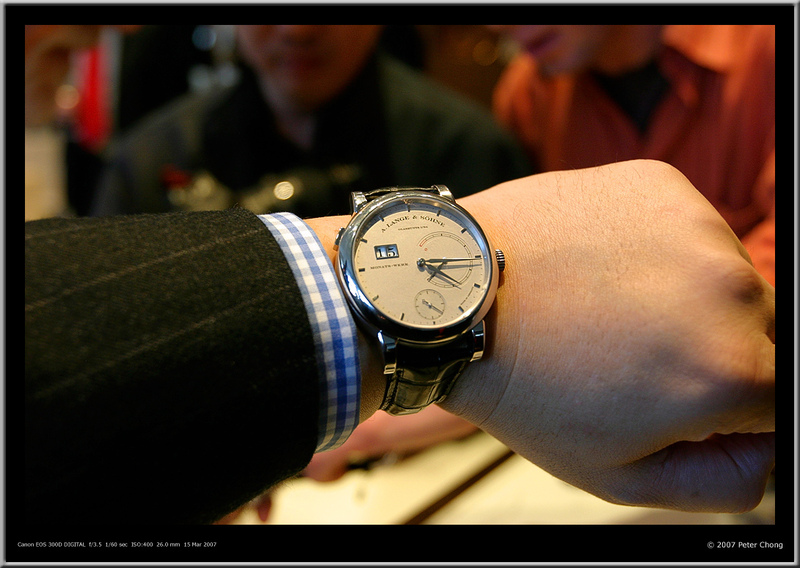 In the case of the Lange 31, this chosen interval is 10 seconds. I will explain why 10 seconds later. Such a spring would provide a discharge curve over the 10 seconds like so, and repeats itself every 10 seconds. The way Lange went about to solve the remontoir is both elegant and complex. The engineers devised a remontoir mounted between two fourth wheels stacked on top of each other, and connected only by the spring of the remontoir. The remointoir recharges once every 10 seconds. As in a typical watch, the third wheel drives the pinon of fourth wheel directly which makes one revolution every minute. The Lange 31 has 2 fourth wheels. Each is stacked on top of each other and connected only by the remontoir spring in between them. Both are able to move independent of each other and only bound by the limits caused by this remontoir spring. Both fourth wheels makes one revolution every minute, except that a special escapement – the remontoir escapement causes the bottom one to be locked for 10s. It then is released and jumps in spurts once every 10 seconds, while the other fourth wheel moves like that on a normal watch. 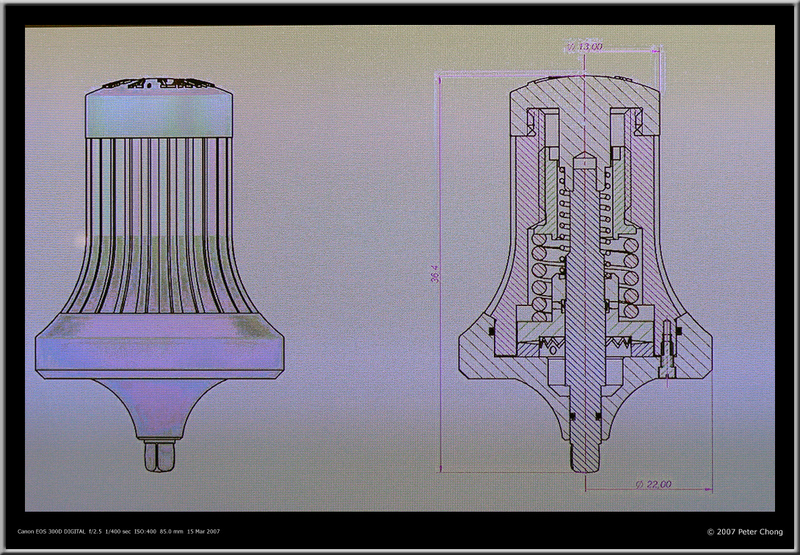 The remontoir escapement shown in detail right below. 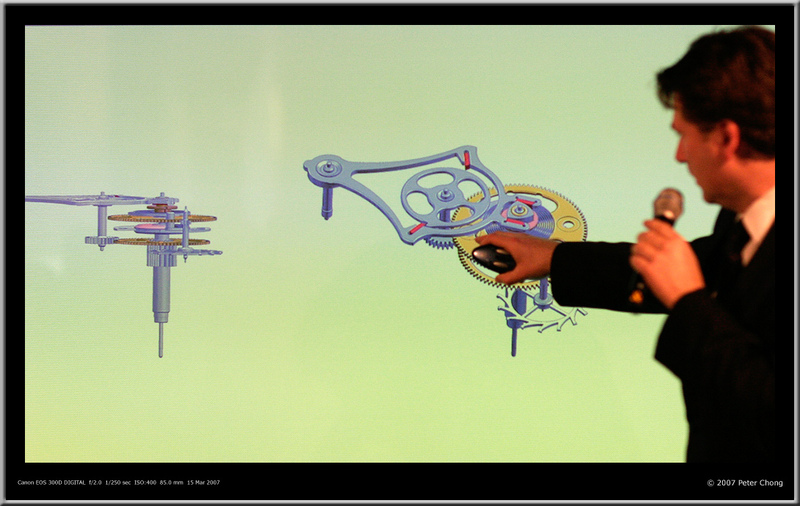 The pinon of the remontoir escapement is driven by the third wheel, and in turn, it drives the lower fourth wheel. A special one toothed escape wheel mounted rigidly on the remontoir escapement pinon wheel receives an impulse once every 10 seconds and is unlocked. This allows power to be delivered once every 10 seconds from the third wheel to the pinon of the remontoir escapement, which then drives the lower fourth wheel. This causes the lower fourth wheel to advance and rewind the remontoir. When the one toothed wheel is unlocked it releases the full power of the mainspring, and rapidly jumps half a revolution only to be locked by the other pallet. As it is jumps, its pinon drives the bottom fourth wheel which winds the remontoir connected to it. The speed of advance is the relative power difference between the mainspring and the remontoir spring…which is a huge mismatch in power, thus the power train jumps once every 10 seconds. One can observe this in the movement, and also in the minute hand which, being attached to the second wheel, is released once every 10 seconds, and jumps once every 10 second block. The impulse to unlock the remontoir escapement is provided by the top fourth wheel, which, working on the power of the remontoir spring moves like a normal fourth wheel. It only operates within the small power band of the remontoir spring, imitating a constant force. Mounted rigidly on the top fourth wheel is a cam shaped like an equilateral triangle with three curved sides. Around this cam is a specially designed lever with two ruby teeth in contact with the cam, and the other end which engages on the special one toothed remontoir escape wheel. This lever is pivotted outside the power train, and is able to move from side to side controlled by the rotating cam. At any one time, one of the two pallets on the lever is engaged with the one tooth wheel, and locks the escapement. But as the cam rotates, it causes the lever to move from side to side, and this action causes the pallet holding the one toothed wheel in place to unlock, and the other pallet to move into position to catch the tooth as it spins across to the other side. At this precise unlocking angle, the third wheel to deliver its power to the bottom fourth wheel. 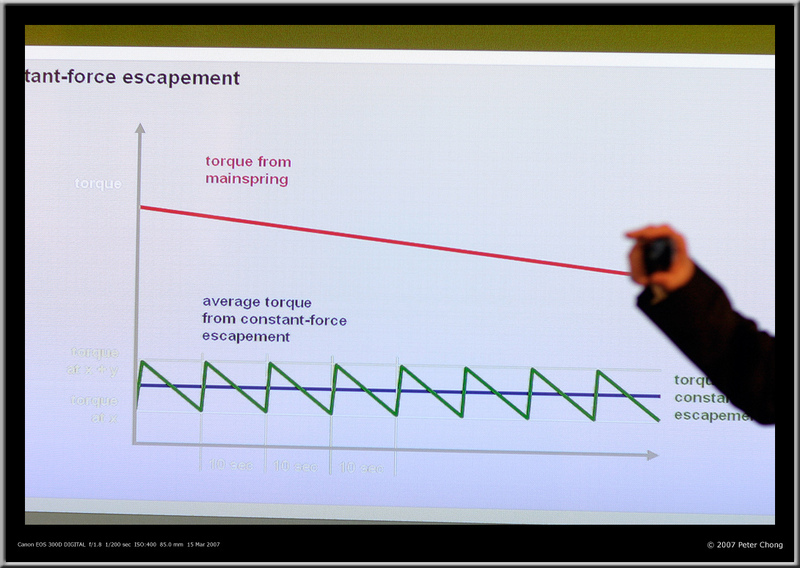 This phenomena is known as escaping in horology…the power of the mainspring is allowed to escape, in a controlled rate by the escapement mechanism. The power flows from the third to the lower fourth wheel, via the pinon of the remontoir escapement is used to reload the remontoir spring, and due to the great strength of the mainspring barrels, occurs almost instantaneously. However, this unleashing of power is short lived, as the cam would have moved into another position which then engages the other pallet of lever to lock the one toothed wheel. 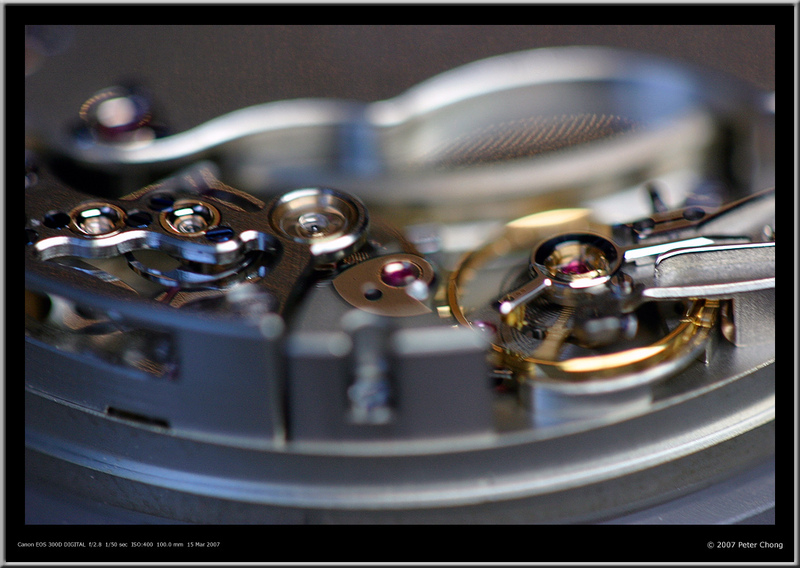 As the cam is 3 sided, it causes this to occur once every 10 seconds, and achieves the remontoir escapement. 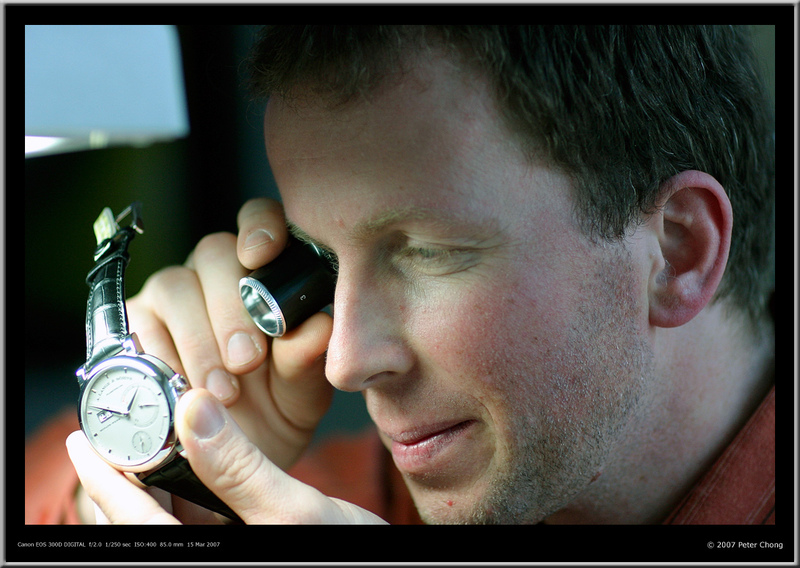 The remontoir escapement is a complication which is as difficult to adjust and regulate as a tourbillon escapement, and hence the equivalent pricing strategy. The mainspring is so powerful, that it presents another problem…winding it would be a chore…if the gearing of the crown is high, it would take a very long time to wind the watch. Using a ratchet wheel to keep the winding power similar to a Lange 1, it would need 150 turns to completely wind the mainspring. Not very practical. Or one could device a low gearing, and require a few turns. But the power to wind this crown would be impractical. The Lange engineers came up with a twist to solve this…they chose a low gearing – only 31 turns required to fully the watch. A special key is designed with a large thumb crown to afford the leverage to wind it. 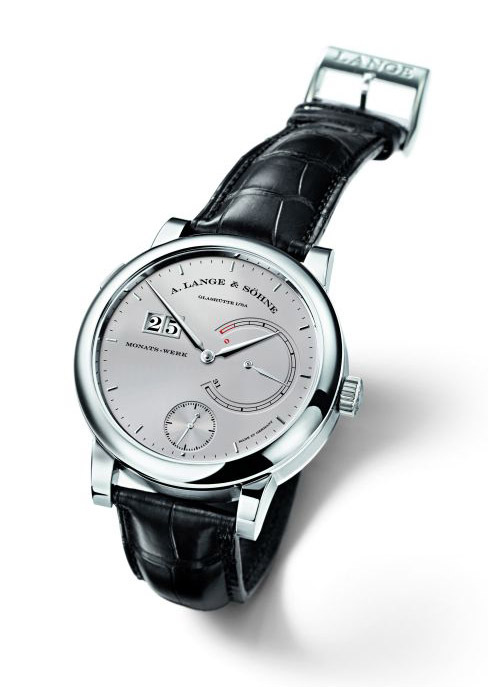 Like the rest of the Lange 31, there is more than meets the eye with this key. The design is complex because it incorporates a ratchet mechanism and torque limiter. 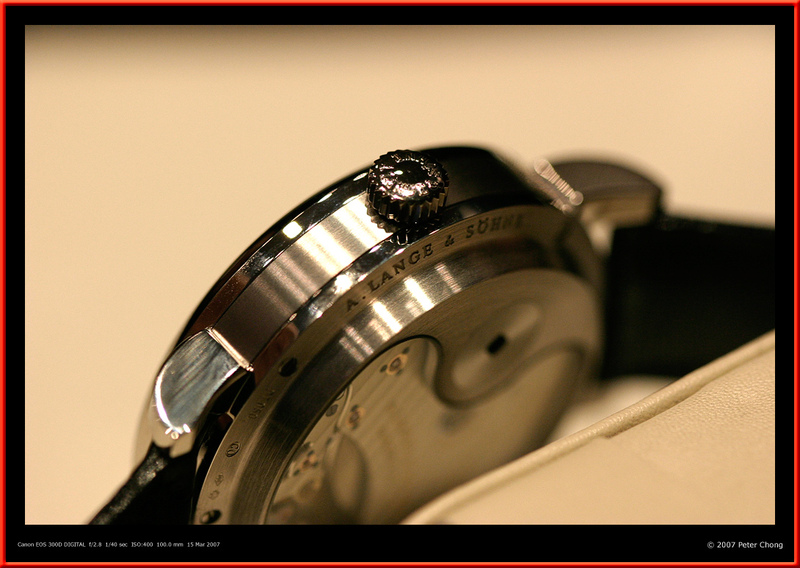 The key is machined out of stainless steel, and like a typical Lange product, is beautifully finished. Two keys are provided. 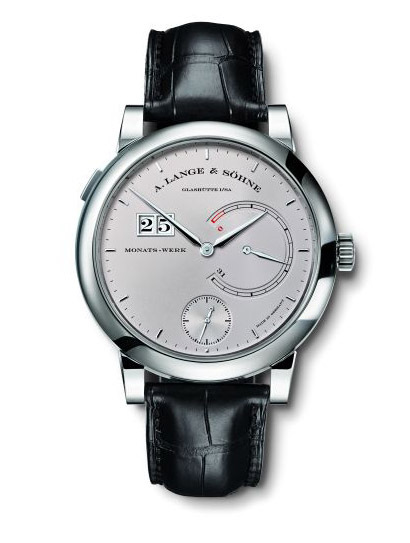 Picture below shows the key next to the Lange 31. 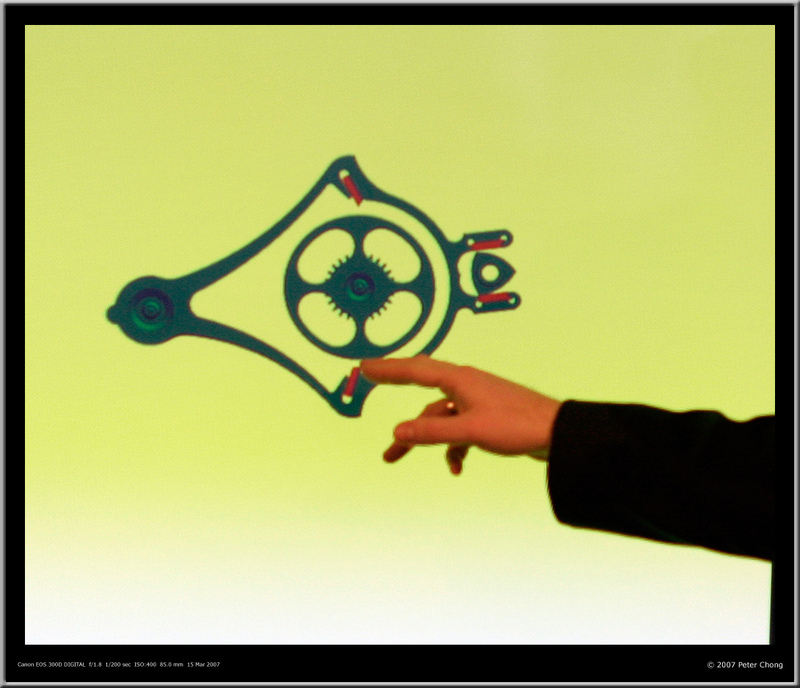 In the background is the Datograph, as a comparison of size.